Blademaster Tetsucabra Costume from Monster Hunter 4 « Adafruit Industries – Makers, hackers, artists, designers and engineers! 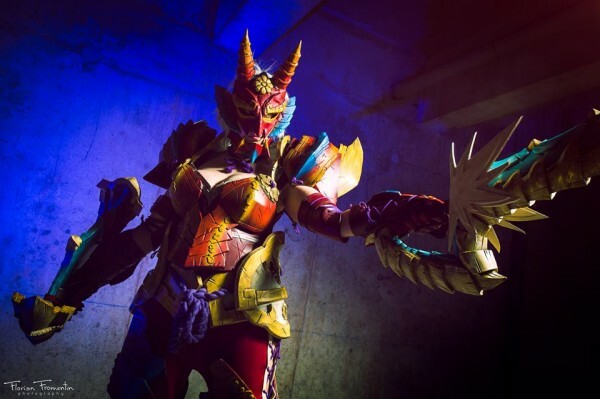 Kuma Cosplay has a passion for making sets of armor, and her appreciation for crafting it shines through in her Tetsucabra costume. She made a replica of Tetsucabra’s full blademaster armor from Monster Hunter 4. It’s bright — more colorful than the metal and muted armors I usually see – and very detailed. Just the shield and mask have all sorts of shapes and textures. The costume was only Kuma’s fourth project. That’s hard for me to wrap my head around. I like how ambitious she is. She documented most of the Tetsucabra build on Facebook. You can see that she started with paper patterns and transferred them to foam. 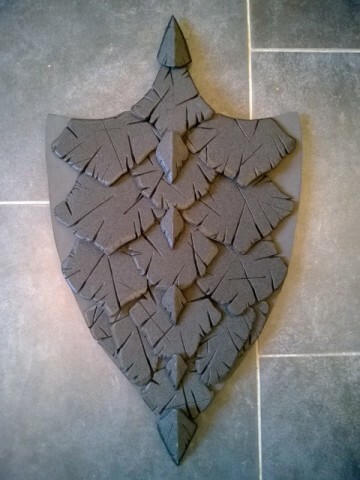 All the armor pieces — from the breastplate to the boot covers — and the shield were made from foam and sealed before painting. 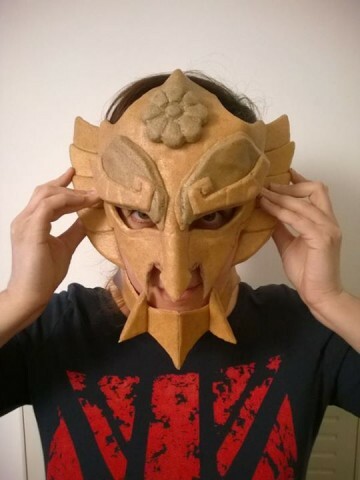 The mask was made from Worbla with details made from a thinner foam. 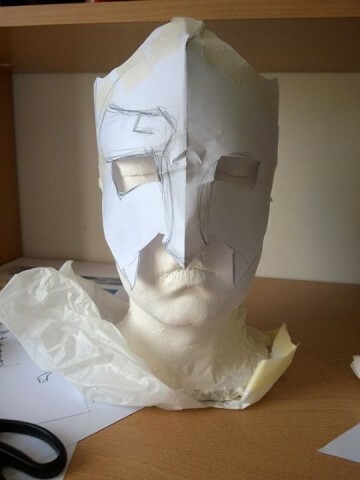 See a few work in progress photos below and flip through more on Facebook – it’s cool to watch how this costume comes together.